The team has all had their share of experiences together while doing investigations, but their desire to follow through into the paranormal field did not simply come out of thin air. It was formed over a period of time and personal experiences. Many of us have had paranormal experiences that helped shape who we are today. It led us to this point, where we can now go out in search of proof to show the rest of the world what we already know to be true. There are such things as ghosts. Jason has scouted several locations more than once on his own and with team members both during the daytime and at night. He’s done a couple of EVP test recordings at his home with his cousins, Christina and Meagan, as his witnesses. He has also taken numerous photographs at several supposedly haunted locations and numerous cemeteries. As a child, Jason was always fascinated by the paranormal. His older cousin used to tell him that the ghost of a little girl haunted the three-family house they lived in on Ryer Avenue in the Bronx. The girl had been sick and supposedly died upstairs in his grandmother’s bedroom sometime before his family moved into the house back in 1969. He wasn't sure if she told him to scare him or just so he'd know about the girl. Whatever the case, after hearing the girl's tale every time his bedroom door would open or close he said it was her doing it. He wouldn't be afraid. In fact, he would welcome her presence, even though he suspected it was only a draft coming from the window in his room that caused the door to close. Jason was present when his aunt, Maria, held a séance in her downstairs apartment of the three-family house sometime in the mid-1970s. However, the only thing they managed to conjure up was a fright after seeing his aunt’s dog, Cleo’s, eyes glowing in the dark. It scared the hell out of Jason's mother, Mildred, which is still amusing to this day. Jason’s first true experience with ghosts came only after moving to his home in Yonkers in the year 2000. While half-asleep in his bedroom in early 2001, Jason had several strange unexplained experiences. He also had the worse nightmare he'd ever had in his life, which was horrifying to cause him to wake up screaming. To make things more interesting his mother also had similar experiences in her own bedroom, which is directly under his bedroom. During this time the ashes of Jason’s grandparents were being stored in the garage unknown to both he and his mother, which happens to be directly below both bedrooms. Strangely enough when the ashes were later removed the experiences suddenly stopped. That’s when they found out the ashes were there in the first place. Jason's experiences were as follows… sometimes while half-asleep a presence could be felt in the bedroom usually on or near the bed, when no one else was there, but him. Often a female voice could be heard calling or whispering his name in his ear, while he was half-asleep, as if she were in the same room or in the hallway. One particular time, while he was in bed, a feeling of pressure could be felt on top of him, as if someone were laying over him. When the feeling stopped he opened his eyes to see he was still alone. Interestingly enough, Jason always experienced these things, while half asleep in bed, but while he was alert enough to awaken after each experience. During the team’s first few cemetery investigations in Yonkers in the winter of 2006, they had some rather good luck in gathering evidence of the existence of ghosts. There were a few interesting digital photographs, a successful EVP recording, and an actual smoky apparition that was witnessed by three team members and photographed, as well. Jason took two separate photographs of apparitions at St. Joseph’s Cemetery in Yonkers and captured some EVP recordings on tape at the same time as a smoky apparition with several faces was taken. To this day, this has been the team's best photo. Another time in late July of 2007 while at St. Joseph’s Cemetery with Jonathan, Jason felt the touch of a ghost brushing against his left arm as he passed by a grave. The whole time at that cemetery they both felt cobweb sensations even in places where there were none. Jason's cousins and former teammates, Christina and Meagan, were with him on that first weekend in late November of 2006. The previous night was only spent with Christina. The two of them managed to get what appeared to be the ghost of a woman in a dress floating approximately five to six feet over the graves. The next night Jason and Christina went back to St. Joseph’s with Meagan. The three of them witnessed a puff of smoke rise from a tombstone and move towards Jason disappearing around him. It was later revealed on the digital camera to be several ghosts in one menacing form. It was a pretty disturbing image that contained many evil-looking faces in a cloud of smoke, as if rising from a grave. This photo was taken in the same general vicinity as the first photo the night before. They got an EVP recording of the event, in which a sort of passing moan can be heard at the moment the photo was taken. It was a weekend that would definitely forever change how they viewed the supernatural. Any doubt of the existence of ghosts quickly went away for the three of them. And that was just their first weekend of investigations together, as a new team! On the very next weekend in early December, Jason went on another investigation to Oakland Cemetery, also in Yonkers, this time with his nephew, Chris. Jason had been there with the girls the week before, but they didn’t find any evidence of ghosts at this particular cemetery, and especially nothing regarding three women in white, who allegedly haunt the cemetery by chasing intruders out at night. All of their experiences on the previous weekend occurred at St. Joseph’s Cemetery. This visit to Oakland Cemetery was Chris’ first official investigation, as a new member of the team. It turned out to be quite a successful visit. The two were able to acquire a third photograph of what appears to be three ghostly images near the foot of a large hill that separates the upper half of the cemetery from its lower half. Coincidentally, this hill is where the three ghostly women are rumored to frequent. The photograph was of a misty apparition that resembled the shapes of people. It hovered over the graves of children that were buried all along hill’s edge. That night Chris proved to be one of the team’s most fearless members. By that time, only he was willing to explore the depths of the cemetery with Jason in the darkness of the night with very little light. It was after that night when Jason decided to make him the first Senior Ghost Investigator of the team. As a child in the late 1980s and into the 1990s Chris had his own paranormal experiences. His mother used to have a phone that would always ring at 4:04am even when it was unplugged. They both witnessed it ringing, while it was unplugged. Eventually, his mother threw the phone out, but then soon after the TV would turn on at the same time instead! In time the TV was also removed from the apartment. A few years later, while Chris was in bed, he had seen what appeared to be a tall well-dressed white man walking into his doorway, and then into the bathroom. He couldn't make out the man's face, but he did remember seeing a set of glowing blue eyes piercing into the room. Chris’ mother had a friend, who came over to their apartment. This person claimed to be a psychic. She walked through the apartment saying how much love she felt. However, when she walked into Chris' bedroom, she felt an overwhelming feeling of negative psychic energy in that room. She choked, as if she couldn't breathe, and asked him how he could stand being in there. Chris’ younger sister, Nikki, had a dog named Fifi. Unfortunately, Fifi got sick and died. When she was alive sometimes she would bark up at the wall, as if someone were there. She was also seen barking in the hall near the bathroom, as if at some unseen person. One late night, while Chris was watching television, Fifi began growling in a menacing way until she got Chris' attention. She had been looking at his closet door, as if she knew someone else were there. When Chris got out of bed to check Fifi got in his way, as if to say, "Don't you dare open that door!" He did, but no one was inside of the closet. Supposedly, a Caucasian male lived in their apartment during the 1950s and hung himself. Chris’s old bedroom now belongs to his younger sister and there hasn’t been anything strange reported since she started sleeping there. However, Chris’ mother, Sylvia, has mentioned seeing the ghost of a little girl in her bedroom back when Nikki was very young, who could possibly have been Sylvia's niece before she died. I believe that their apartment, which is in the Bronx on University Avenue, is definitely worth a look for the team someday. In fact, there are a few other homes where team members live that have been the site of strange occurrences. Luckily, other family and team members have been witnesses to some of those experiences, as well. 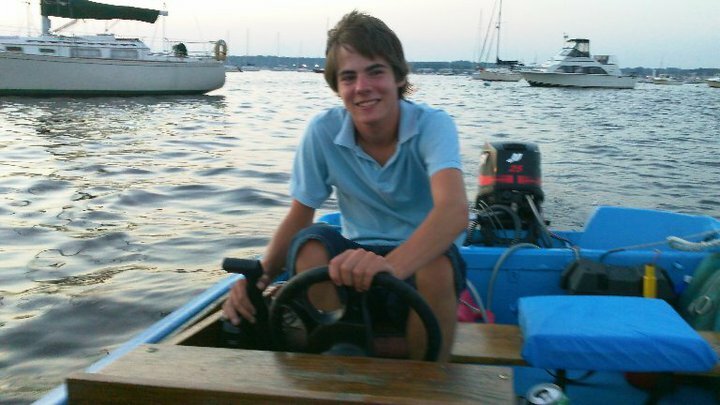 When Chris was young he knew a guy, who was only known as "Monstrosity." This guy was really big. No one ever messed with him. Monstrosity was very much into the paranormal. This was long before Chris ever considered it. Monstrosity used to tell Chris he was surrounded by the spirits of the dead. He told Chris they followed him everywhere and would sit and stare at him. It was enough to make Monstrosity afraid of Chris! Chris now lives in Yonkers in a house with his wife, Nancy, and their three children. Oddly, enough their new home seems to have a ghost of its own. Sometimes when he is watching television down in the living room the channels on the cable box change on their own. It will often change to a religious program. An investigation at his new home revealed no results, but we will be ready when something else occurs. 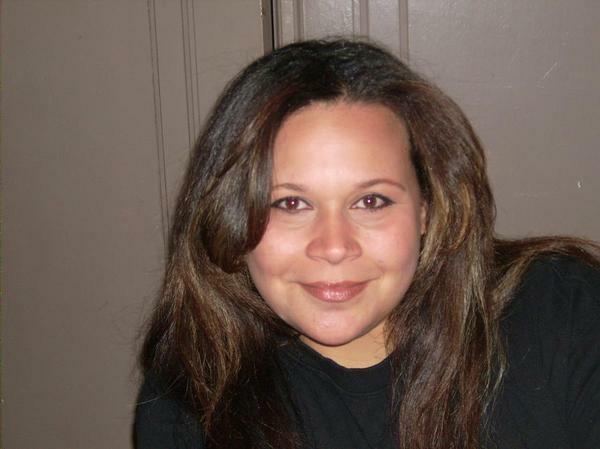 Linda is our resident psychic medium. She can communicate with spirits, which has been very helpful to us during a few of our investigations. She has also had her share of experiences that range from seeing ghosts of loved ones to having numerous out of body experiences. The following experience occurred sometime in the late 1990s when she used to practice witchcraft with her sister. Linda said a door that she had locked opened by itself and a radio in her house came on with the volume very loud without anyone touching it. Another time during an out of body experience she found herself at the Kings Park Psychiatric Center on Long Island. While there she encountered several different spirits in different buildings. She could tell they did not want her around. One even told her to leave because she did not belong there. She learned whatever she could about each spirit and passed the information on to me at a later time. I have since made attempts to contact some of these spirits with little success. 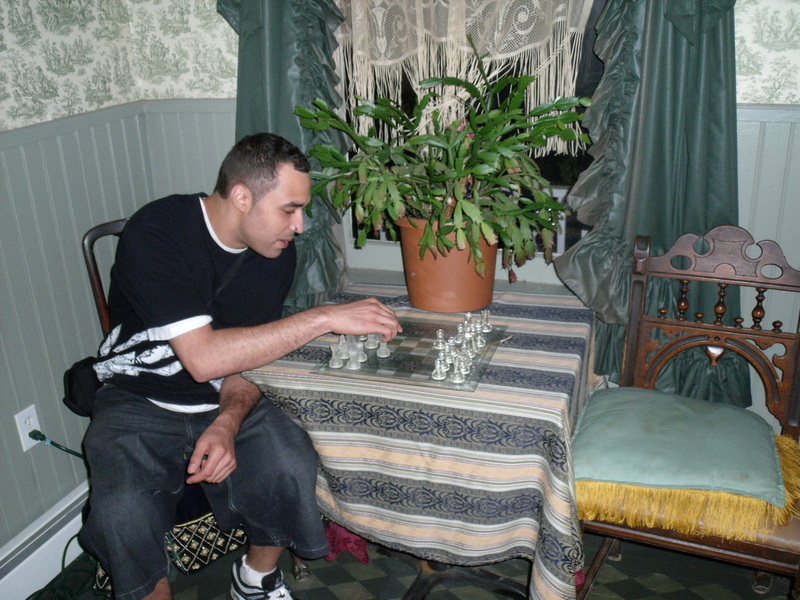 While at the Morris-Jumel Mansion and at the Merchant’s House Museum in Manhattan, Jason and Jonathan have taken several pictures capturing strange unexplainable reflections, orbs, and light rods. Both of these locations are very old houses that have been converted into museums. Their former owners are the cause of the hauntings at both museums. People have seen apparitions, heard voices and unexplained noises, and the piano at the Merchant's House Museum has been known to play a few tunes on its own. 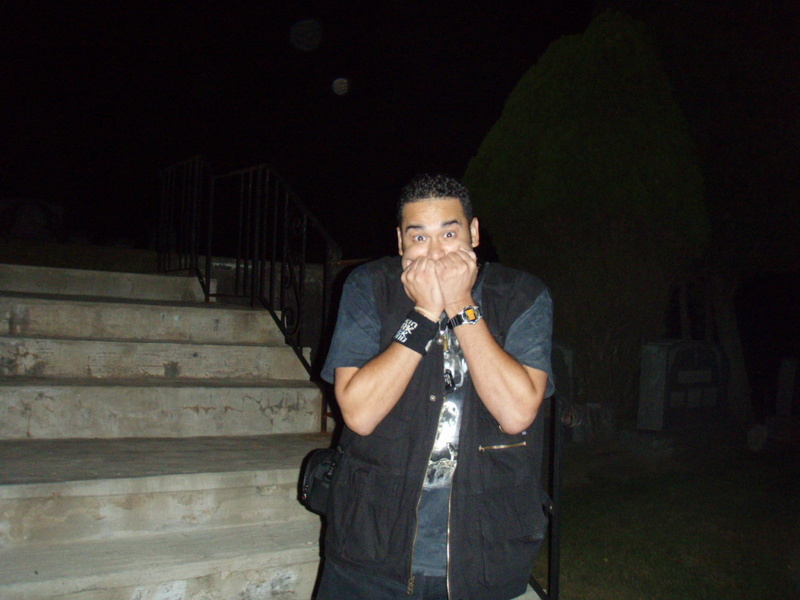 When former team member Melissa first went to St. Joseph’s Cemetery with Jason and Chris on July 17th of 2008 she recorded several clearly audible EVPs, especially near her grandfather’s grave, which is located at the south end of the cemetery. Coincidentally, it was also only several rows east of Henry Lesnick’s grave, a former neighbor to the Jason. So the message given might have been for either Melissa or Jason. Jason has also gotten a smoky blur in a photo at the site during the first investigation of 2009 on June 5th. They also went to the Shanley Hotel together for the team's first investigation. It was Jason, Chris, Melissa, and Kim. They were able to successfully acquire several EVPs and a video with moving orbs. During the first drive down Sweet Hollow Road in Long Island, Jason and Chris clearly heard a female screaming in the distance somewhere in the wooded area east of the road. It happened in an area, where there were no other houses nearby and it occurred very late at night. They continue to go to Sweet Hollow Road making the drive all the way from one end to the other. Usually a drive down Mt. Misery Road, which runs parallel, follows. Jason has made the drive with several other team members, as well, including Jo-Ann, Reuven, and Anthony. These roads are not too far from the famous house in Amityville, where the book "The Amityville Horror" takes place. Sweet Hollow Road is haunted by several different spirits. Sweet Hollow Cemetery, which is at the beginning of the road, is also haunted. Jason captured a misty apparition when he, Chris, and Anthony did their first full investigation there. Up until this point that was all of the evidence and experience the team had since it was formed. St. Joseph’s Cemetery had been the main site for weird occurrences. Oakland Cemetery was right after that. Nothing major had happened at any other site that we’ve visited. We’ve also been to Sleepy Hollow and St. Mary’s Cemeteries, and on several roads that are supposed to be haunted. 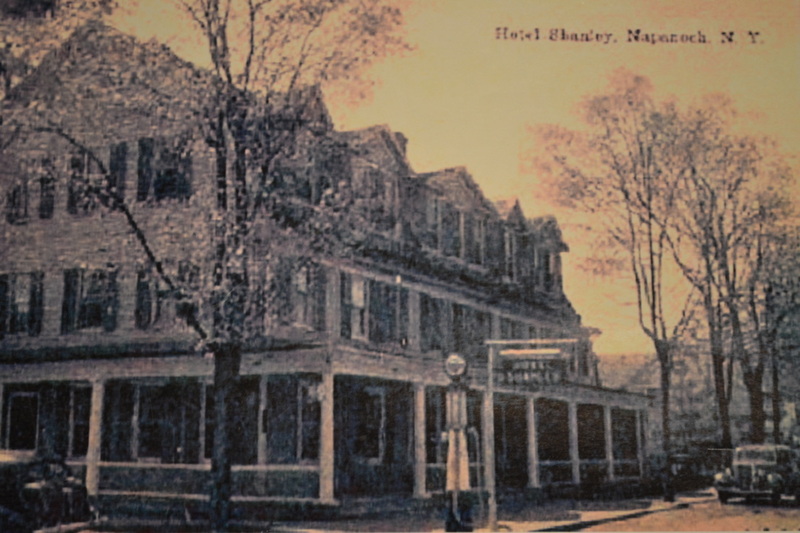 Jason and a few team members have gone to the Shanley Hotel in Napanoch, New York, a few times already. During their first visit Jason and Chris were joined by former teammates, Melissa and Kim. The hotel is supposed to be haunted by numerous spirits. After doing several successful investigations there I can tell you it most definitely is haunted. On the team's first visit Chris' sneaker was moved from one room into a bedroom belonging to the former top girl of the Bordello, Anna. Both Jason and Melissa were able to get EVPs in the Bordello area. Jason also got an EVP, while filming a video in the secret room of the basement. Melissa got another one in the hallway. One of Jason’s videos had some ghostly orbs moving near a window, too. Before leaving the hotel Jason managed to capture the voice of one spirit, who haunts the Bordello. The spirit of 4-year-old Rose "Rosie" Gregory, who died when she fell into a well across the street from the hotel and drowned. During the second visit Jason heard a whisper, while down in the basement. He and Chris heard a loud banging sound coming from the Bordello area in the middle of the night, while listening to “Moonlight Sonata” on Jason’s laptop. Chris also witnessed a door that was closed move on its own. Two other banging sounds were also captured on video during this visit. During another visit Jo-Ann was able to capture the voice of young Rosie. This time it was while Jo-Ann played with some of Rosie's dolls in her bedroom, where Jo-Ann slept during that visit. On another visit Jo-Ann felt someone or something touch her on the back, while in Room 2, also known as the Rose Room. While Jason did a tour on video, as Reuven filmed him and Jo-Ann walked along quietly a young child's voice can clearly be heard saying, "Great!" on the second floor hallway of the main house. Could it have been the voice of another child, who haunts the hotel named Jonathan? Or was it Rosie? Jason also captured an apparition in a photo of a young child looking out of the window of a third floor window during the next visit. During another visit after Jason say his farewell to the spirit of Clair, Jo-Ann immediately captured an EVP of her telling Jason, "Don't go!" On the same night Jason had also heard the voice of a girl, as he left the Bordello. Danny saw mist appear before his eyes on the third floor and during another visit he saw mist coming towards him on the stairs. He also saw an orb moving past him, while looking through the LCD screen of a video camera during his first visit to the hotel. During this visit several photos with faces were also taken. On his second visit he saw what appeared to be the apparition of Cindy's cat, Sweet Thing. Chris and Danny also chased a spirit around the third floor using a MEL-ATDD Meter. The spirit kept moving passed them causing the meter to go wild and making their hair stand on end. The temperature was also affected on the meter. During the same investigation, I used the meter to communicate with the ghost of Rosie, who manipulated the lights on the meter upon request for a period of about 12 minutes. When Jo-Ann was a child she was very unhappy with her family. She hated her stepfather and still does. At times she was angry at her mother for putting up with her stepfather. One particular time, while she was very young, she wrote an angry letter to the Devil asking him to take her family. She hid the letter in a drawer, but soon after writing it she realized it was a huge mistake. Strange occurrences began taking place at her home. She began to see shadowy figures moving in the darkness. She heard strange noises that were unexplainable. She even heard an evil voice. When she went to destroy the letter she was shocked to see that it was gone. She never found that letter, but prayed for the Devil to forget she ever wrote it. The occurrences stopped after her family moved. In later years, while at her house in Puerto Rico, she saw a shadowy figure moving around the house near the bushes. Ever since joining the team, Jo-Ann has dealt primarily in communicating with the dead through the use of EVP recordings. She has been very successful in acquiring EVPs of the dead little girl named Rosie, while at the Shanley Hotel’s Bordello area. She's was also touched by an unknown entity during a daytime investigation at Untermyer Park. When Danny was a young teenager of about 15 years of age he lived with his parents in a two-story house. His bedroom was located on the second floor. The hallway outside of his room led to a staircase that went down to the first floor. One night he awoke to use the bathroom and saw an apparition of a woman wearing a hat and old fashioned clothing standing at the top of the staircase looking forward. Much to his delight she didn’t notice him, so he quickly ran back into his room and went back to bed with the urge to go to the bathroom a distant forgotten memory. He can remember she almost looked like a nun. He was able to see right through her body. She did not move from where she stood much to his delight. After joining the team Danny has seen a few misty forms appearing before him or passing in front of him. Once was while on the third floor of the haunted Shanley Hotel. Another time was inside of the medical building at the abandoned Letchworth Village. It almost seems like he attracts spirits because he always seems to see or feel something whenever we go on an investigation. He has also been successful in capture ghostly faces using the full spectrum camera and a moving apparition on a video with the same camera. 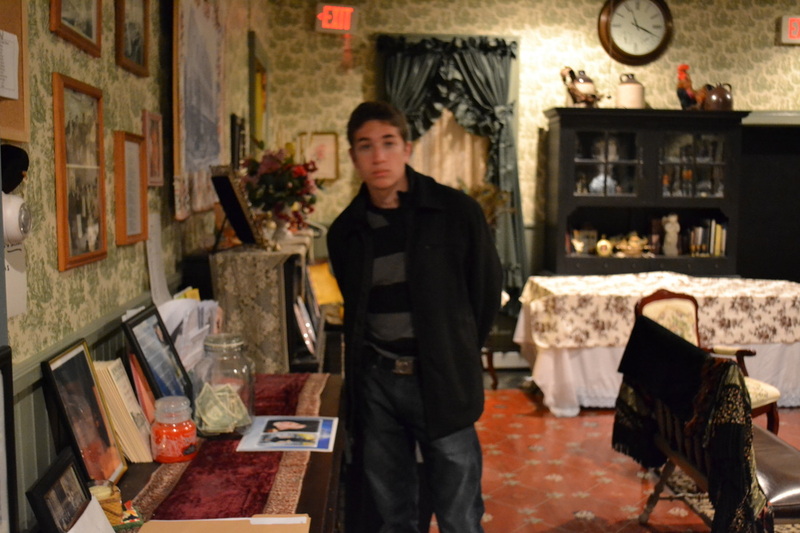 We have come to the conclusion that Danny is a magnet for the paranormal. We always seem to acquire evidence when he comes along on an investigation. Reuven is the first team member to join without any kind of past paranormal experience. He longs for the chance to prove to himself that there are ghosts out there and hopes to find evidence of that during his time on the team. During Reuven’s first investigation at the Shanley Hotel he quickly learned how to use the camera equipment. While doing a video of me giving a tour of the hotel, we captured several EVPs on video. One was a class A EVP of a child saying, “Great!” on the second floor near the staircase. This EVP can be heard on the video page of this website. Later, while asleep in the Sun Room, he felt someone touching his face and he woke up to find he was alone in the bedroom. 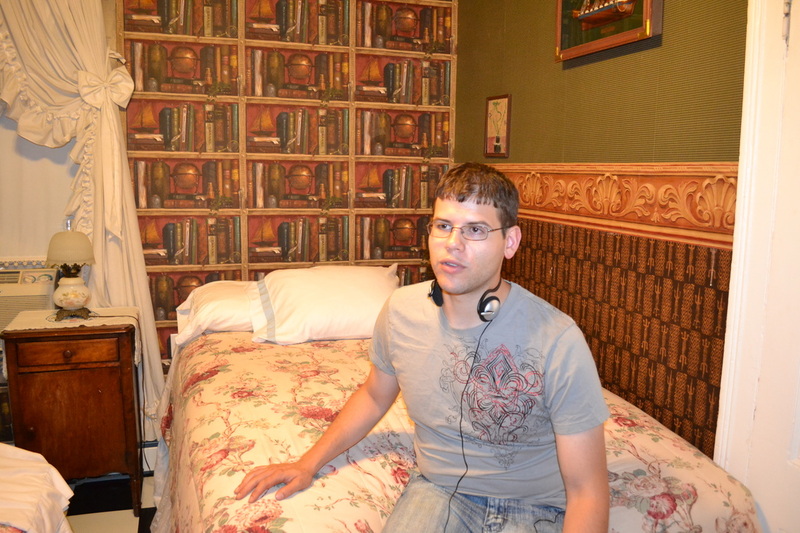 His cousin, Jason, the team leader, had captured moving orbs on video in the very same room during the team's first visit to the hotel, which is a renowned haunted location. We have done many investigations at the Shanley Hotel and at the Kings Park Psychiatric Center. We've walked through underground tunnels. We've explored over a dozen cemeteries. A few of us have done unofficial investigations on our own. Some of us were able to check out a few spots in Puerto Rico and Baltimore's Inner Harbor. In 2011 we added the Letchworth Village to our list of explored locations. We've even done investigations at residential areas and haunted roads. Throughout all of those investigations we continue to learn more about the paranormal. We've utilized some of the best equipment available and have been quite successful in collecting evidence on photos, videos, and EVP recordings. As far as the team is concerned we've accomplished our main goal in proving that the paranormal does exist. There are such things as ghosts. And yes, there are still many skeptical people out there, who are in denial and blatantly deny the existence of life after death. They are only fooling themselves. We've seen it with our own eyes, heard it with our own ears, felt it on our skin, we've filmed it, photographed it, and even recorded it. If that is not enough to make a believer out of those skeptics out there, then the only thing left is for them to witness it themselves. I invite you skeptics to join us one night at the Shanley Hotel or the Letchworth Village or the KPPC. Do you dare to enter these dark areas in the middle of the night armed only with a flashlight and a camera? Or does fear prevent you from becoming a believer? This invitation is not for everyone... only for those, who've told us they do not believe. 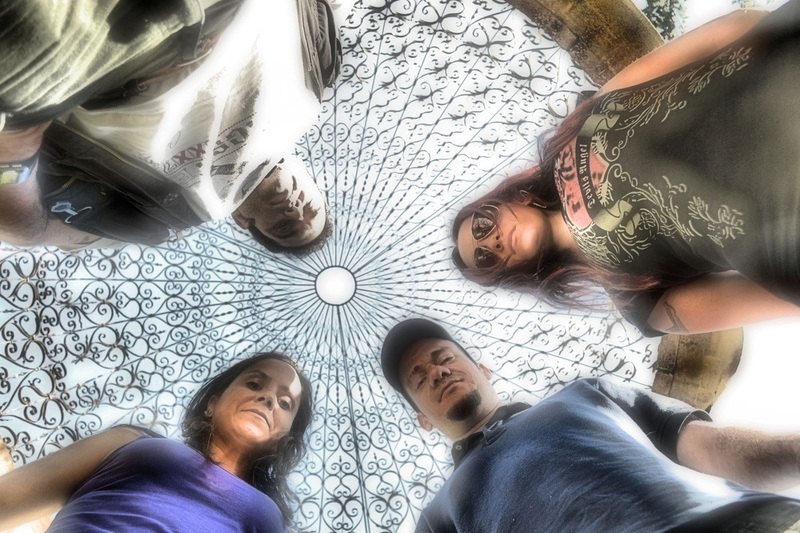 I dare you to join us during one of our investigations! Xavier has had experiences with the paranormal, ever since his childhood. It started, after an accident with his youngest sister. He was playing with her and she accidentally hit her head on the corner of the bed. Blood poured out, creating a pool of blood on the floor. Their father took her to the hospital and she had to get stitches. After his sister went back home, Xavier was sleeping with her on a twin bed, which was near a wall. In the same room with them, were his other two sisters, who slept in a twin bed near the window. One of his other sisters, who were sleeping near the window, saw a shadowy figure with red eyes that was staring at him. His older sister woke up and saw the same thing, but could not see the sister that was sleeping with her. She had gone to hide under the bed. Once his older sister found out, she joined her. They both slept under the bed that night. The next day Xavier decided to sleep near the window to see if he could see what they saw. He wondered why it had been staring at him. “Why me?” He asked, as he stared at the window all night long. The shadowy figure did not reappear. While growing up, his father did his fair share of Santeria. He always had sessions in the apartment, where they lived. During these times, Xavier recalls seeing saints, Native Americans, and voodoo statues with candles of all colors that lit up the darkened rooms. There were also various types of necklaces, which were called protection icons. Xavier’s second experience was in that same apartment. Xavier froze up and didn’t dare move. In fact, he couldn't move. The shadow moved to the left, and then to the right. By the time, Xavier was able to move, he pulled his bed sheets over his head, just as the shadow jumped towards him. Xavier could feel the body weight on top of him for about a second or two, but then it felt like it lifted off of him. The next morning, he told his mother what had occurred. When Xavier was twelve years old, his family moved to Puerto Rico. He lived there with his mother, his new stepfather, and only two of his sisters, the oldest and youngest ones. He slept on the sofa in the living room, while his two sisters slept in their own bedroom. It was around this age when Xavier began having night terrors. His dreams started out like white noise on a TV with nothing showing. To this day, he isn’t sure if that was his unwanted psychic ability forming, or if it was only the beginning of his nightmares. The nightmares started with him being killed. He never remembered how, but he would wake up outside in the street. His stepfather would then chase him, while holding a knife. He would throw the knife at Xavier and stab him in the back. At that point, Xavier would then wake up on the sofa, where he had been sleeping. His heart would be beating fast and he’d stare at his sisters’ bedroom. His youngest sister would run towards him and try to kill him. She’s be possessed by a demon and often looked demonic, as she’d choke him, until he woke up for real. He was usually left wandering, if he was still sleeping or not. He’d stare at his sisters’ bedroom, and then become scared. He’d have to go to his mother's bedroom to sleep there for the rest of the night. The nightmares continued, until he learned to control it. After it happened so many times, he realized it wasn't real. Whenever he was killed in a nightmare, he’d look at his wounds and fall to the ground. Everything would turn black, but this time he no longer woke up within the dream. That’s when he’d realize it was only a dream. The darkness would turn into light, again. He’d call back the one, who killed him, and tell him that he cannot be killed because he was now in control. His wounds would heal instantly and the killer would disappear. That was how he overcame his night terrors, but they did not go away. Instead, they turned into premonitions. Everything became clearer and easier to understand. He began to see messages in his dreams. It would be, as if he already lived through it. When his family moved back from Puerto Rico to New York, Xavier was seventeen years old. He had a premonition that something bad was going to happen. It wasn't the airplane falling or anything like that. It was something that was only going to happen to him. Three weeks later, it became clear what it was. Why three weeks? Because he locked himself in a family member's apartment, until the eerie premonition went away. After the first day of that third week, he was arrested for hanging out with the wrong person. It was a case of being in the wrong place at the wrong time. A year later, Xavier found a higher power. He began going to church and his premonitions, which he originally thought was a curse, became a gift. He’s learned a lot from God and wasn't afraid of the demons anymore. His life changed for the better and miracles began to happen. His gift was enhanced for the better good. His premonitions became like a warning sign of what’s to come and it worked well. When he left the comfort of the church and went back out into the world, he was attacked one last time by a demon. One night he was asleep at his mother's house on a bunk bed with his youngest sister. She slept on the top, while he slept on the bottom. He had a long day, so he went to bed exhausted. As soon as he moved his hand over his face to cover his eyes, he heard someone walking in the hallway wearing high heels. He figured it was probably just a woman, who had come home from the nightclub. He continued to listen to her climb up the stairs and waited to hear a door open and close. He tried to guess what floor she was on. Once she reached his floor, the footsteps came to a stop. The weird thing was that they sounded as if they stopped right near him. Just as he was about to remove his hand from his face to see if there was someone in the room, he felt something grab his hand and hold it down over his eyes. He also felt his other hand being hold down. Suddenly, he felt a hand wrap around his neck and it started to choke him. As he tried to call for his mother, the words would not come out. He changed the words he tried to say and called for God. It felt like he was being lifted up from the bed and slammed down back onto the bed, before it released him. There was no one else around, except his sister. She told him she could tell he had a nightmare because she felt him jump on the bed. He wasn't even asleep, yet, but he did not mention it to anyone. Xavier feels like something out there has been hunting him for years. He believes now is his time to find some answers and fight back, while helping others to discover proof of the paranormal. We've had many experiences in just the few investigations done at Untermyer Park in Yonkers. This has inspired us to explore the background and history of the park, which in itself is extremely fascinating. The park has a dark and hidden past, though, which is what truly brings us back each time, in search of more evidence of the paranormal. During the 1970s, it was used for Satanic rituals by a cult called the Process Church of Satan. The infamous serial killer, David Berkowitz aka the Son of Sam, was a member of this cult. It is said that sacrifices were made at several locations throughout the park. These very locations have yielded high EMF readings and EVPs that we've captured, as well as a few apparitions, which have been photographed. We will continue to conduct investigations at this location, while also continuing our research behind the history of this fascinating park. Rich had his first paranormal experience when he was a teenager. It happened in the apartment, where he grew up, and still gives him shivers to this day. After the deaths of both his grandmother and brother, he’s seen them both in the long hallway of his apartment. In 2011, he went on a vacation to Gettysburg, Pennsylvania, to learn more about the battles that took place, during the Civil War, and to see the sites. While he was there, he went on two different paranormal investigations with the Gettysburg Paranormal Association to the Hoffman mansion. Both investigations were very eventful. The first night included communicating with the spirit of a Union soldier and a Confederate soldier. The lady of the house also heard a child’s laughter. Rich asked his ex-girlfriend to take a few photos with her camera and she took three. The first showed nothing, but the second had an orb. The third photo also showed nothing unusual. This prompted him to do the second investigation with the team, in which both he and one of the investigators saw a full body shadow on a wall grid, after Rich told it to leave his ex alone. The shadow was about 5 feet in height. 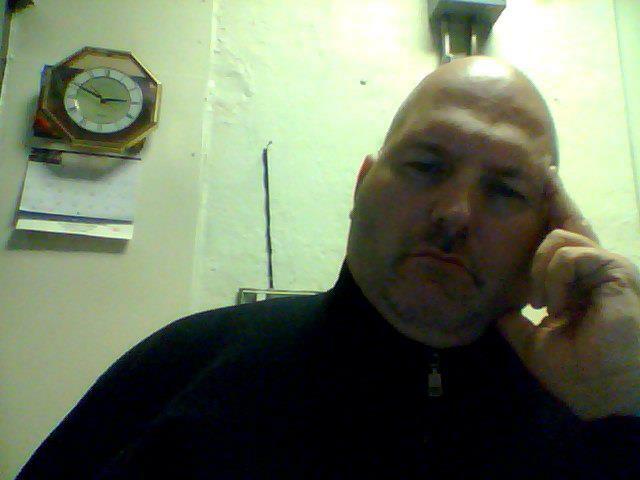 Rich works as a security officer at night at a plant in Yonkers. On his first overnight shift, he had a paranormal experience. While doing his rounds, he heard footsteps behind him. At the time, he was alone. When the morning came, he told his supervisor about it. At first, he did not believe him, but one day in conversation he found out they had been experiencing paranormal activity at the site for many years. Rich did some research and found out that prior to being part of the plant, there were houses on the exact site where all of the paranormal experiences have occurred. His mother used to live in one of the apartments there and told him about two different significant events. The first was a fire, which killed two young children. The second was an explosion that either hurt or killed two workers. One of his co-workers had a few paranormal experiences in the same area. He’s seen shadows and a full body apparition of old man sitting at desk on the shop room floor. In March of 2013, he saw another full body apparition of a former worker, who past away about a month earlier. Rich also experienced some activity, during his first investigation with our team at Untermyer Park in Yonkers in March of 2013. Plus, it appears his home is haunted, as well, having encountered several spirits there over the years. “I have been interested in the paranormal for years, ever since I was young. I grew up reading ghost stories and when I got older, I watched “Ghost Adventures” for the first time they aired it on TV. They had the best show out there, so I would always make sure I was home Friday nights to watch the newest episode. About 3 years ago (2010), I had gotten even more interested to the point where I wanted to start my own ghost investigations and form a group. I wasn’t successful at the time because no one was interested in helping me, or maybe they didn’t even believe such things existed. My friend and I would always go out to Kings Park Psychiatric Center to explore the abandoned buildings. I knew there was activity in the buildings. I could always hear faint noises, and feel like there was a presence, when no one was with us. Over the years the team has changed in so many ways. While we’ve lost some members for various reasons, we’ve also gained new members that have proven to be valuable to the team. Each member now has a specific duty, during an investigation and we all work well together as a team. We’ve expanded our investigations to other locations outside of New York, such as Pennsylvania (Gettysburg), Massachusetts (Longfellow’s Wayside Inn in Sudbury), Louisiana (New Orleans), and Puerto Rico (Old San Juan & the Caves of Camuy). We will continue to expand our horizons by eventually heading out to places like Tombstone, Arizona, and Old Salem, Massachusetts. In time, the team will continue to grow, as well, in many ways, as we continue to do more investigations with each coming year. As team leader, I will also begin my career as a professional author and hopefully open new doors for us. 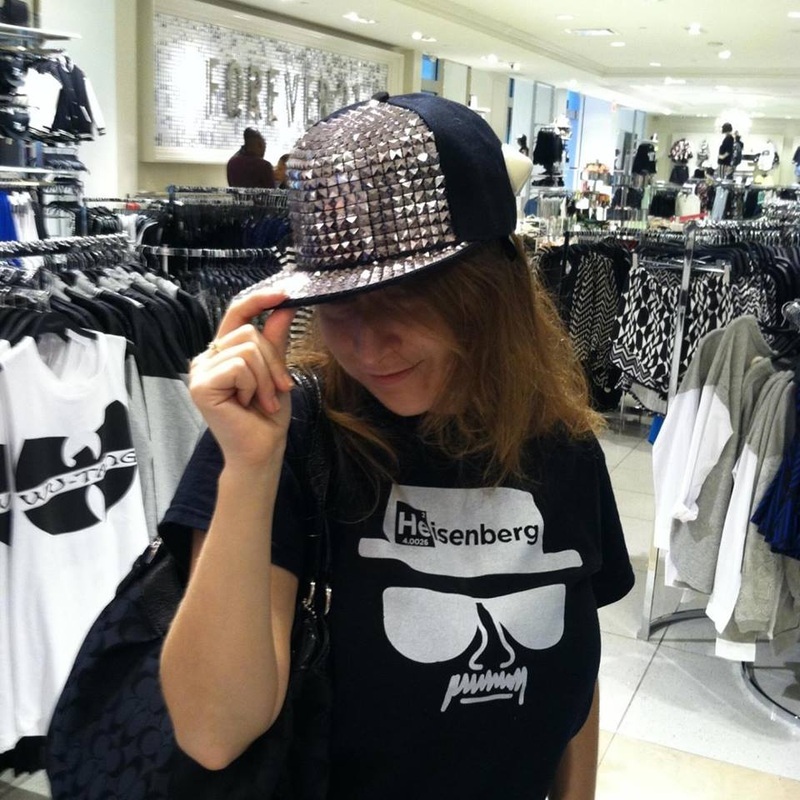 Amey tries on a hat. 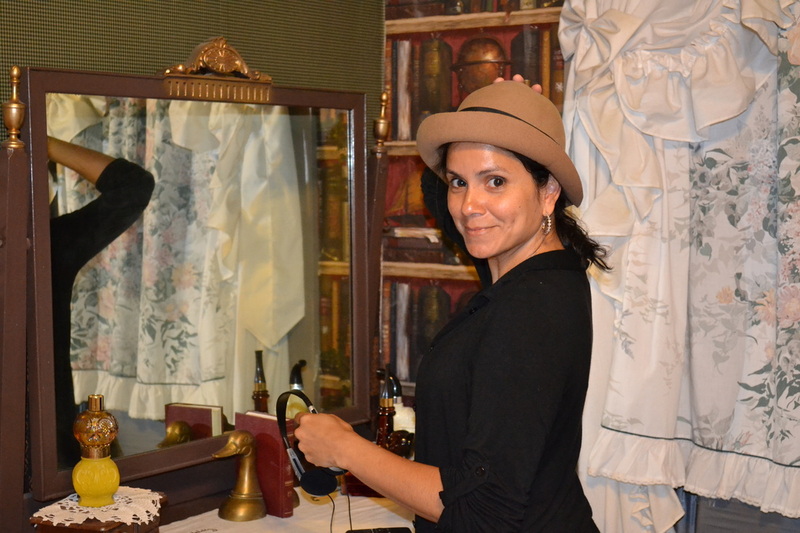 Amey began having experiences in her Astoria apartment almost as soon as she moved into it. Shortly after taking a photo of her cat, Henry, in her kitchen, she became aware of what appeared to be a demonic face in the reflection on the window. During a get-together at her apartment, her friend opened the refrigerator only to have several eggs tossed out onto the floor at her feet. While Amey was in bed recovering from injuries caused by a vehicle accident that occurred at work, two helium-filled balloons somehow managed to float from the far end of her living room, under an archway into the hallway, under another archway, and then into her bedroom where they stopped near the wall across from her bed. Was a spirit trying to cheer her up? We eventually went out to Amey's apartment to do several investigations, coming up with a few possible EVP recordings, in which whispers and a female voice can be heard. There was an air freshener that was in the bathroom, which ended up being crushed somehow and moved to the doorway of the bathroom. One of our team members and a friend to Amey, Andrew, felt the presence of more than one spirit in the house. One of them was dark. During other times Amey felt like someone touched her leg, while she was home alone. She heard her name being called when she was in her living room sitting at her computer. She heard whispers in the hallway and she also saw a tall dark apparition standing near the door. The bedroom door also opened and closed on its own. Amey said the previous tenants moved out mysteriously, leaving their belongings behind. In 2014 another former resident of the apartment contacted us and said he used to live there during the 1990s. His bedroom was the same bedroom Amey uses for herself, while his mother slept in the living room. Unfortunately, his mother became ill and passed away. We all began to wonder if his mother could be one of the spirits haunting the apartment. We did another investigation and invited him along, hoping his presence could bring closure to his mother's spirit and allow her to rest in peace. If it worked, we have no idea. Only time will tell. In the meantime, Amey has joined our cause and is now a part of the team. From left to right: Rich, Chris, Devin, Andrew, Reuven, Danny, Jason, Xavier, Jo-Ann, Chino, Christina, Sarah, Elijah, Olivia, & Giselle. Much has changed, since the last update. Old team members have been replaced with new team members. It is unfortunate, but time marches on and waits for no one. We've managed to go way beyond the 200 mission mark, including second trips to historic locations, such as Gettysburg and New Orleans. Jason, the team's leader, has retired from his job, after 23 years of service, which gives him more time to focus on the team and investigations. It has also provided time to work on his writing career. After publishing two novels, he has begun work on a book, which will describe ghosts and legends of Yonkers. He also married his long-time girlfriend and teammate, Jo-Ann. 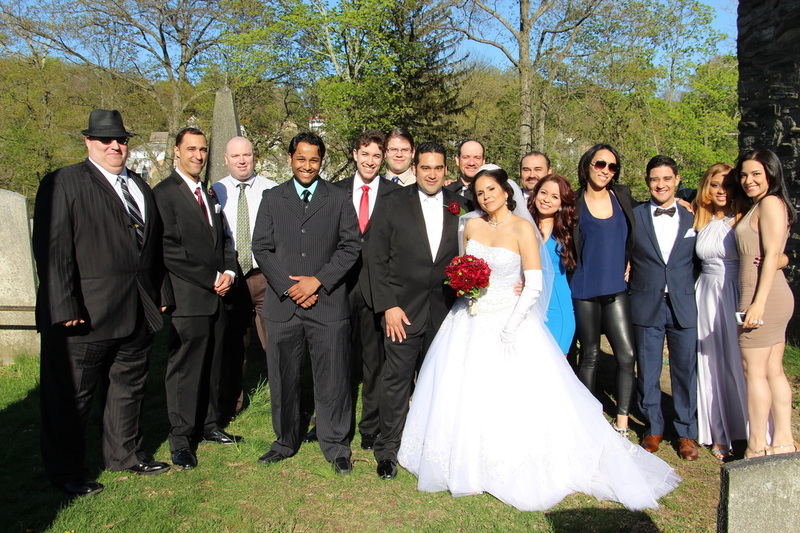 The wedding was held at the historic and haunted Old Dutch Church at Sleepy Hollow Cemetery in May of the same year. Many of the team members from the past and present were able to attend the event, as seen in the photo above. They spent their four-week honeymoon in Puerto Rico, where they did many exotic investigations at very old and historic locations across the island. It looks like this year will prove to be another big year for us. Hopefully, before the year's end every member will have finally achieved full status on the team. We hope you will all be there to follow us on our adventures! The team lost one member and gained another at the end of 2014. As the next year began, we took a step back and took a break to catch up on going over some of our evidence. We did paranormal investigations every once in a while, but were not as aggressive in pursuing new ones as we usually have been in the past. At the same time, if something came along, we did not refuse it. 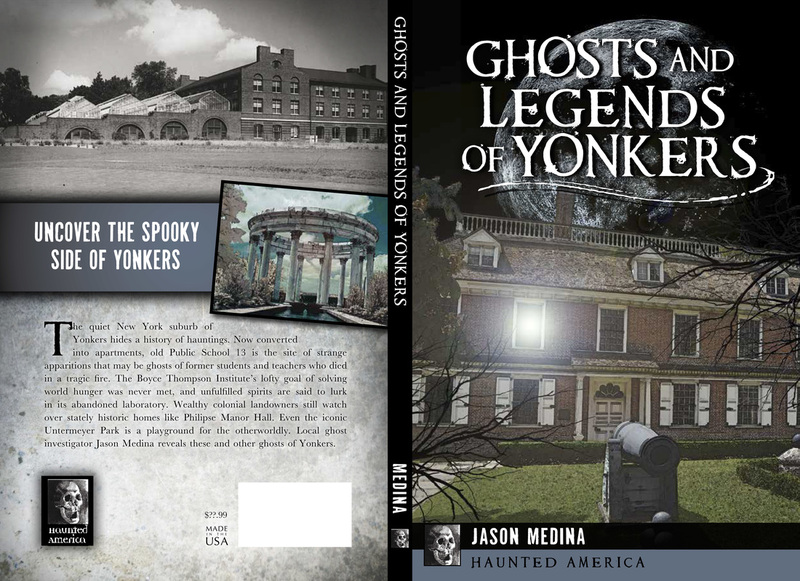 Our biggest accomplishment for 2015 would have to be the publication of team leader Jason Medina's fourth book, Ghosts and Legends of Yonkers. Released on August 29, 2015, this book is currently available online and at stores where books are sold. The reason why this book was an accomplishment for the entire team is because our investigations and evidence captured in Yonkers were featured in the book. The book also has photos of some team members, while naming many from the past and present, who participated in Yonkers investigations. Aside from giving Jason the opportunity to write another book, it gave other team members a chance to have their photography published, such as the inset photo of the pavilion at Untermyer Park ﻿on the back cover taken by Xavier Gonzalez. In addition it gave our team more public exposure. Within the first four months, this book sold over 100 copies at one Barnes & Noble location alone, never mind other locations, online sales, and about half that amount that was sold by the author before the end of the year. 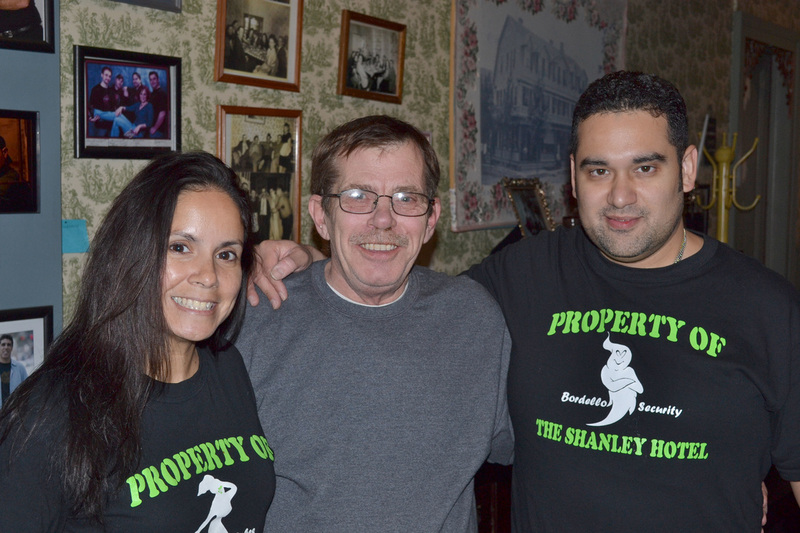 Jo-Ann & Jason (me), posing with Sal Nicosia, owner of the Shanley Hotel, during happier times. There is not a lot to add for 2016. I took a break from actively seeking out new places to investigate, while I tried to finish my historic book about the Kings Park Psychiatric Center. Sure, there were a few investigations here and there, but not as many as there could have been. We added a new team member and photographer, Jake aka Viper. He has quickly become a valuable asset to us and we look forward to doing more investigations with him. We lost a longtime team member, Mia. We wish her luck in the future. The worst news we have to share is the passing of our dear friend, Salvatore Nicosia, owner of the Shanley Hotel. His passing hit us hard, since we truly enjoyed his friendship. We miss him dearly. I wanted so much more time with him. I was helping him with researching the hotel's history, but since he died, I have lost my urge to continue. I feel the reward will no longer be as great, if he cannot take part in the knowledge. Rest in peace, old friend. I will still write a book about the Shanley Hotel, as planned.